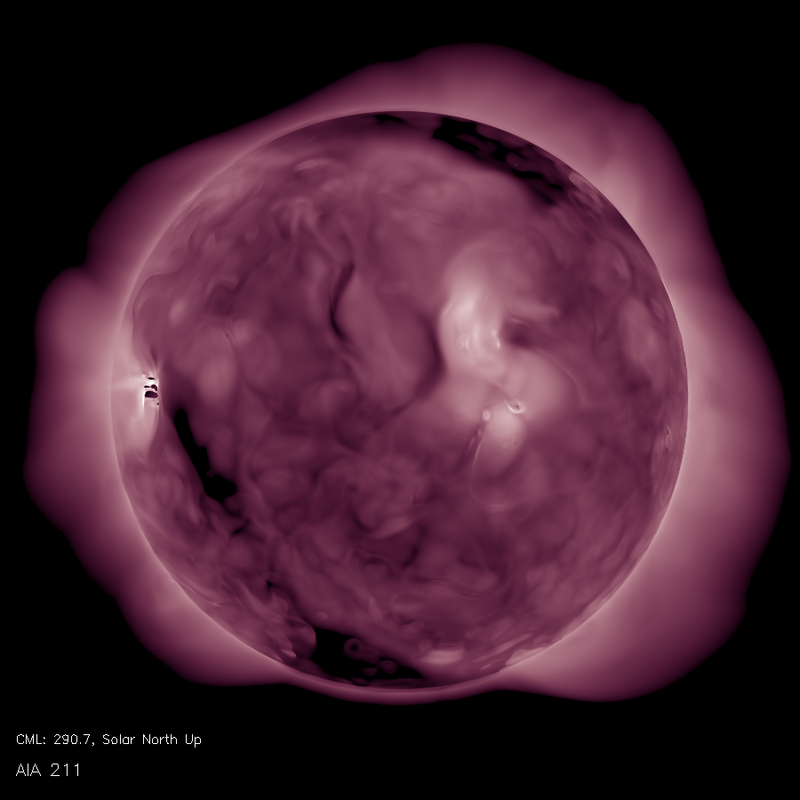 The images above show the predicted coronal emission during the eclipse. Plasma in the corona emits naturally at these wavelengths, and each channel is sensitive to different temperatures in the corona. The left three channels, AIA 171, AIA 193, AIA 211 sample the corona from ~0.9 - 2.0 million degrees Kelvin, while the XRT Ti-Poly channel has broad sensitivity for plasma above 2 million degrees Kelvin. 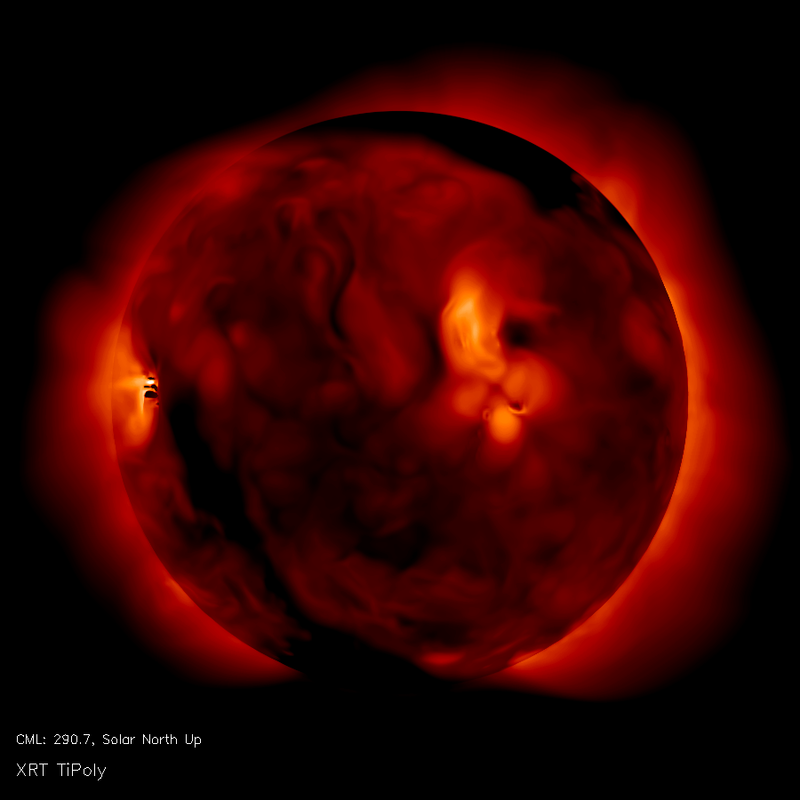 Here we show movies of predicted EUV and soft X-ray emission from our coronal model. 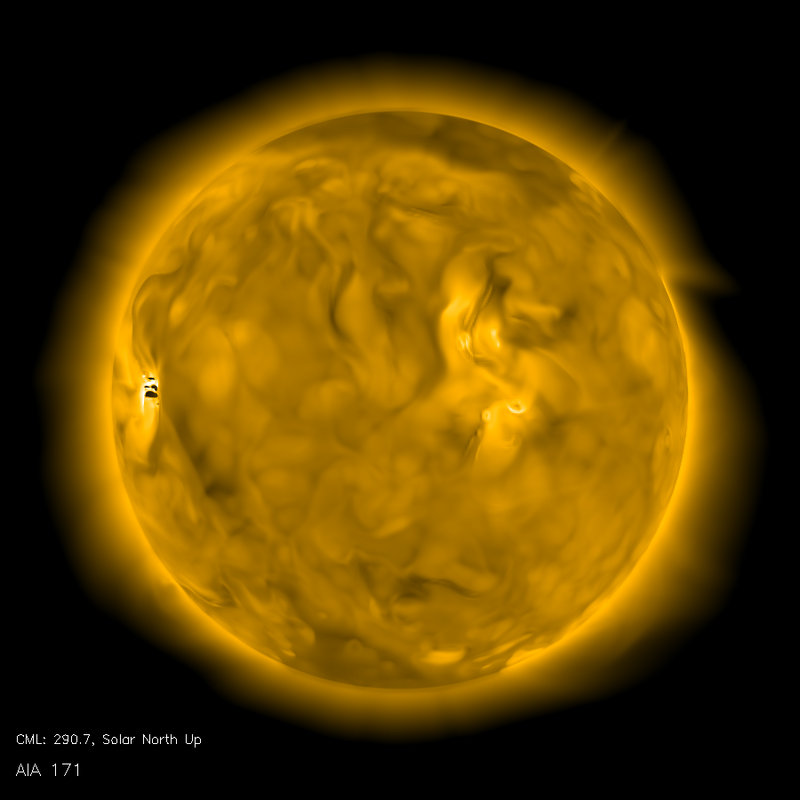 The four channels shown represent measurements taken by the Solar Dynamics Observatory (SDO) and the Hinode Spacecraft, both of which continuously observe the Sun from space. 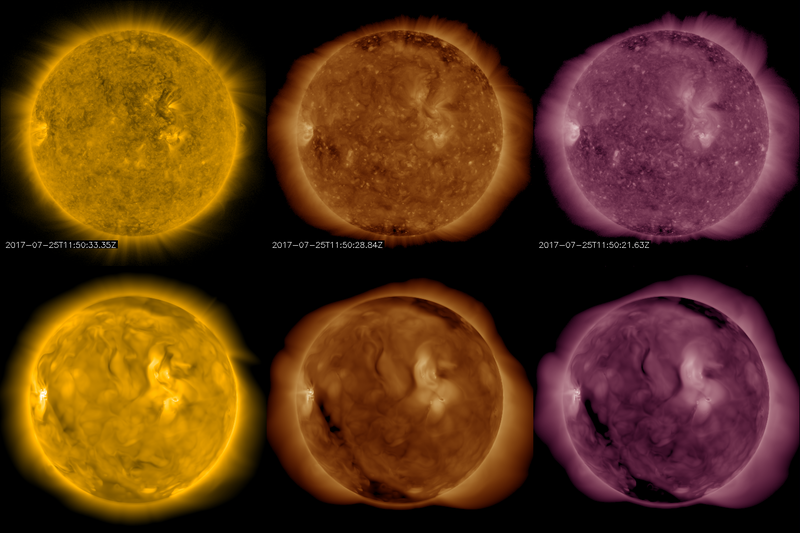 In the above figure we show a comparison of prediction emission from our model (bottom row) to calibrated SDO/AIA images taken about two weeks prior to the prediction (top row). By comparing our simulation directly to observations, we are able to test and improve our computer model. 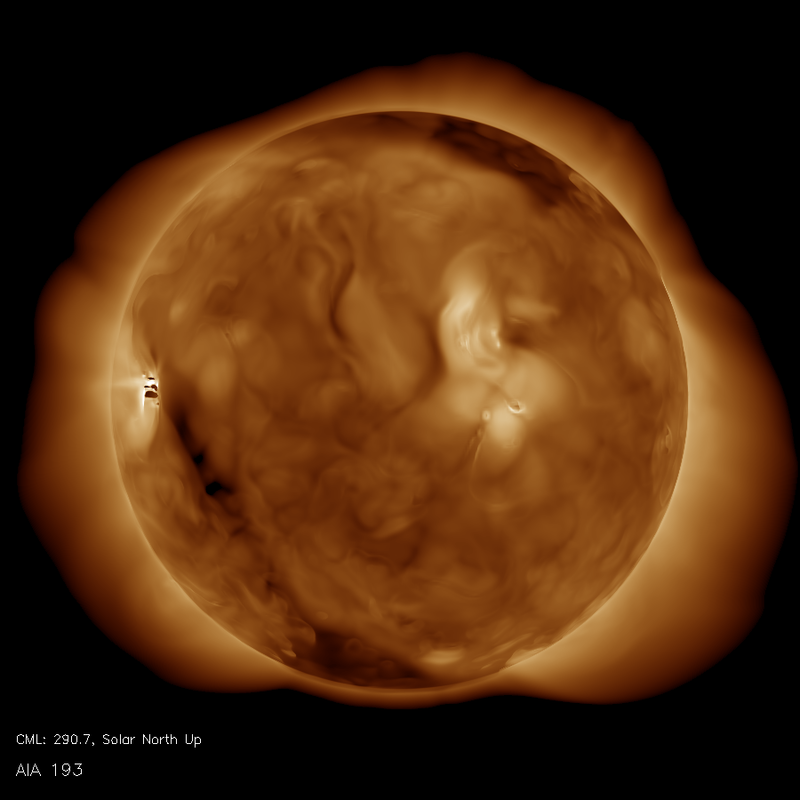 In this case, we were most focused on reproducing the large-scale features and relative contrast between emission in the AIA 171, 193, and 211Å channels, which span the typical temperature range of plasma in the corona.